England’s comeback thrashing of Montenegro, Cristiano Ronaldo’s injury or France’s dismissal of Iceland would have been most people’s headlines from Monday’s international football fixtures. But there was one game you probably didn’t hear about. It saw politics meet football as the Spanish region of Catalonia played their first fixture for more than two years. They beat Venezuela — not shying away from the news headlines themselves — 2-1 in front of 12,671 in Girona. But, unlike England et al, it was nothing to do with trying to qualify for the European football championships next summer. Catalonia, because they are not recognised by UEFA, are not invited to take place in next summer's football extravaganza. Ditto for FIFA. So the game against the team from South America — fresh from beating Lionel Messi's Argentina last week — was only a friendly. Nevertheless, it didn’t have any trouble attracting high-profile players. 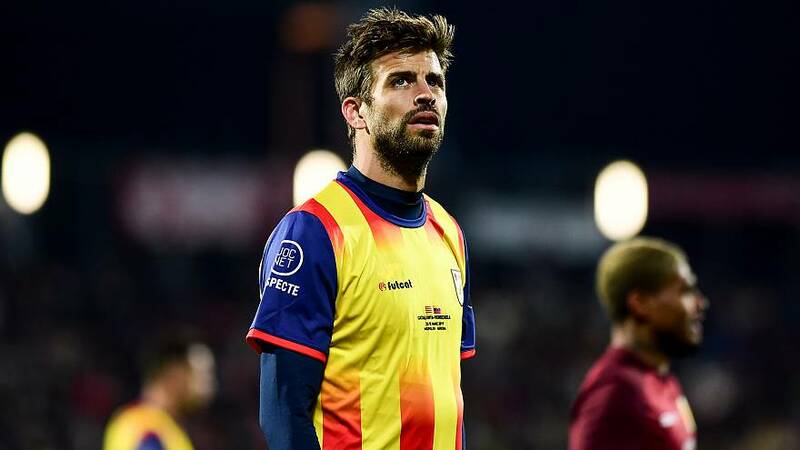 Barcelona defender Gerard Pique, a World Cup winner who retired from playing for Spain last year, turned out for Catalonia. He was reported to have tried to silence fans who were shouting against Spain during the match. "Respect, above all, but on all sides. In Catalonia we have to preach by example," said Pique after the match. Two players from the Premier League — Brighton’s Martin Montoya and Southampton’s Oriol Romeu — also took part. But some Spanish clubs have refused to release their employees to turn out for Catalonia: Rayo, Huesca and Valladolid. It’s unclear whether this is a political move or simply the fact that leagues across Europe are coming into the finishing straight. Catalonia is used to arranging fixtures when footballers have their feet up. Their last game against Tunisia in December 2016 took place during La Liga’s winter break around Christmas time. But the Spanish Football Federation gave Catalonia permission to play during FIFA's window for international matches, including this one at the end of March. Catalonia’s government held what authorities considered an illegal referendum in 2017 and then later declared independence from Spain. Madrid dissolved the north-east region’s parliament and ordered new elections. A trial is ongoing in Spain of several of the leaders from the failed independence bid.